Innovation: The 8 Best Things Happening in “Growing” Golf Right Now! Home > Blog > Innovation: The 8 Best Things Happening in “Growing” Golf Right Now! I’ll admit, I’ve become a relentless golf nut, and I’ve even got a fairly decent handicap, often breaking 90 (which is less than what 1% of golfers can do.) I’ve got a son with a 1 handicap, which makes for rather interesting rounds! 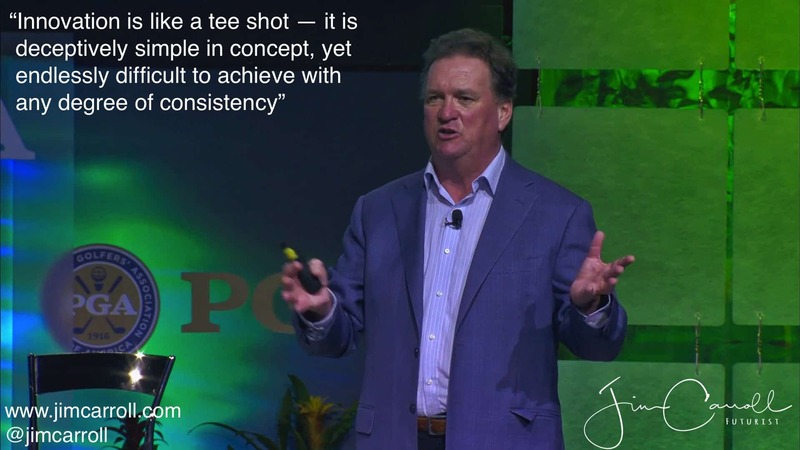 One of biggest career thrills as a futurist who focuses on the concept of innovation is found in the fact that the PGA of America has had me in to keynote their organization not once, but twice. The first time was for their annual general meeting, and then last year, to open the annual PGA Merchandise Show — where I was on stage after Lee Trevino and followed by Bubba Watson! Both of these events have involved a focus on the idea of innovation, and what the industry and sport needs to do to continue to drive innovation, growth and interest in the game. The common buzz ‘out there’ is that golf is a sport in decline. You’d certainly think that by reading the media. I beg to differ, and believe that the reality is far more positive. Much of this is due to the fact that there are a whole bunch of people in the game who are doing fascinating things to drive interest in what golf is all about. Much of it involves reaching young people, using social media, to draw interest into the game. With that, here’s my list of I think are the most important initiatives and people today in growing interest in the game. Essentially, a driving range with technology, GPS golf balls, beer and chicken wings. 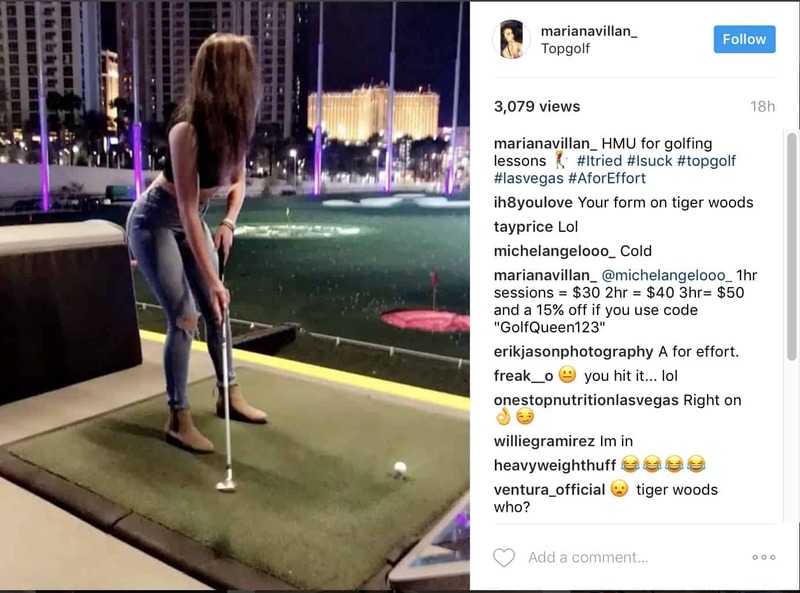 If you check out the Instagram feed, you’ll see posts of young kids exploring whats involved in swinging a club. View social media postings around #topgolf, though, and you’ll see that it can be crazy busy on Friday and Saturday nights. I had the chance to interview the CIO on stage in Orlando at the PGA Merchandise show, and he has some wonderful insights on the impact of TopGolf on game growth. Watch the video clip here. Essentially, TopGolf is getting people to try out a golf swing in a fun social environment. Statistics show that 1 out of 3 go on to try out golf in a real golf course. That’s a huge driving factor for growth! TopGolf uses social media to drive the game forward — and so much growth in the game today is being driven in the same way. With that, check out Women with Drive, another social media initiative. In this case, a number of young ladies are using the power and reach of Instagram, Facebook and other tools to encourage women to discover the game. Their tag line is “Inspiring women to connect and play more golf“. The posts encourage those to find fellow women partners to come out for a round and either learn about or share their love for the game. On Instagram, you’ll find many posts around new individuals getting involved in the game. Just this morning, they had a group in San Diego, doing what they do. It’s a national effort to get young women to come out for a round, and learn and love the game. Golf can be intimidating — it can be tough to break into, and there is a massive learning curve until you feel comfortable in getting out there and joining in for a round with people you don’t know. Women with Drive seems to be eager to break down those barriers, and I’ve got to give them credit for their passion and purpose. 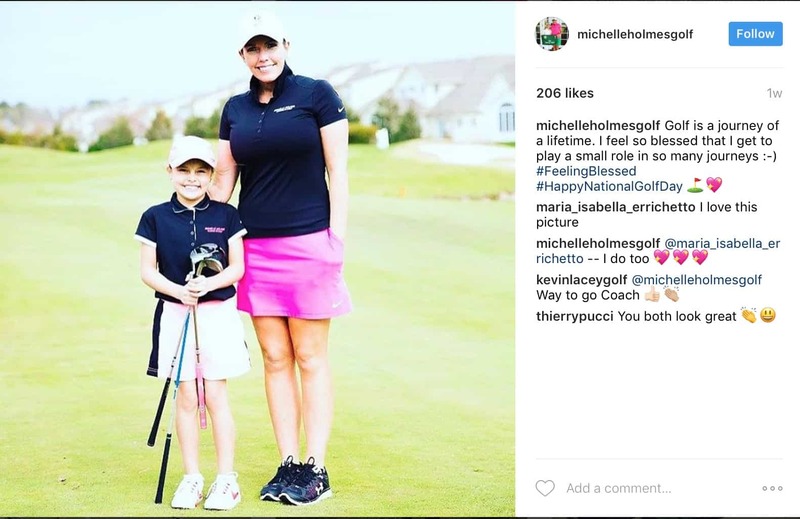 While Women with Drive often shows a more sophisticated, feminine approach to growing the game of golf, the younger male generation also takes to social media to share their interest in the game. 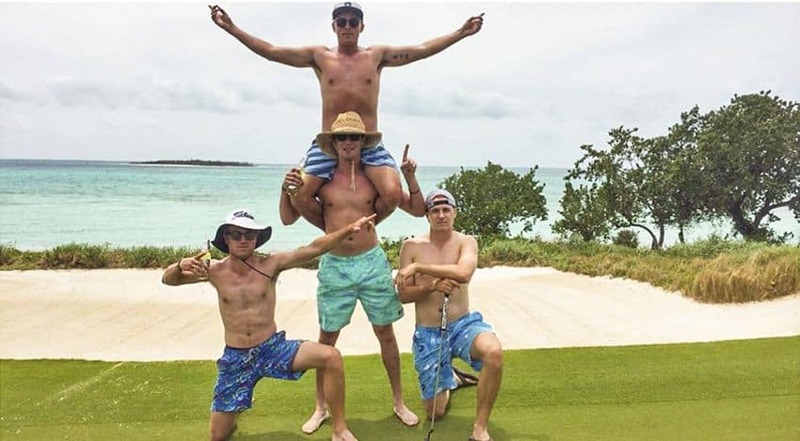 And no doubt, you’ve seen posts around Rickie Fowler’s annual trek to the Bahamas with fellow golf pros. You get to see rising stars, normally found on the quaint, organized PGA tour, letting loose with a round of golf and other activities. They’re out golfing shirtless, beer in hand, behaviour bordering on the outrageous — which is what a lot of weekend hackers do. It provides the perfect connection between the average weekend golfer and the multi-million dollar golf pro, and gets out the message that the sport can be fun and inspiring at the same time! Most people, when they hear the phrase “PGA Pro”, think of folks like Tiger Woods and Rickie Fowler. Those are the ‘touring Pros’ — but there are also PGA Professionals, folks who are the teaching professionals, helping others to master the complexities of the swing and they game grow. Perhaps the most important PGA instructors out there today are those who dedicate their lives into getting young people into the game. Hence, I give you Doug Lawrie and Michelle Holmes! Doug I know well — he’s the head teaching pro at my home golf club, Credit Valley. Michelle I have never met, but I’d love to meet her! Doug regularly uses social media to tell the story and share the insight of the young people that he coaches. He’s tremendously successful – one of his proteges, a 10 year old girl, went on to win her category in last years world championship. Doug also has attention deficit disorder – hence, his teaching company name, “Focus Golf Group”. Just the other day, I met him on the range and he was teaching a young girl a lesson; she’s deaf! He seems to take delight in taking on challenging cases, and turning these challenges into big opportunities. Her passion for everything in getting young people into the game is infectious, and is another role model for what we can do to get the next generation involved in this wonderful sport. This passion for growing the game with young people flourishes out in the grassroots with Doug and Michelle — but it s also infused throughout the top leadership of the game. Case in point: Suzy Whaley, soon to be head of the PGA of America. 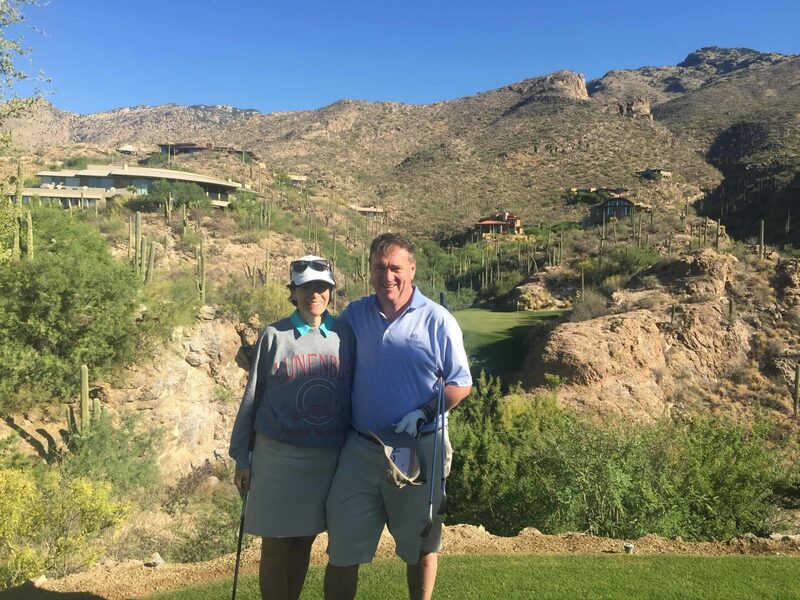 When I keynoted the 2010 PGA annual general meeting, little did I know that one of the most dynamic individuals in the world of golf was in the room – Suzy Whaley. She’s currently the Vice President of the PGA of America, and if all goes to plan, she’ll assume the leading role soon. Although we’ve never met in person — our paths have crossed — I’ve had the opportunity to learn from her insight. 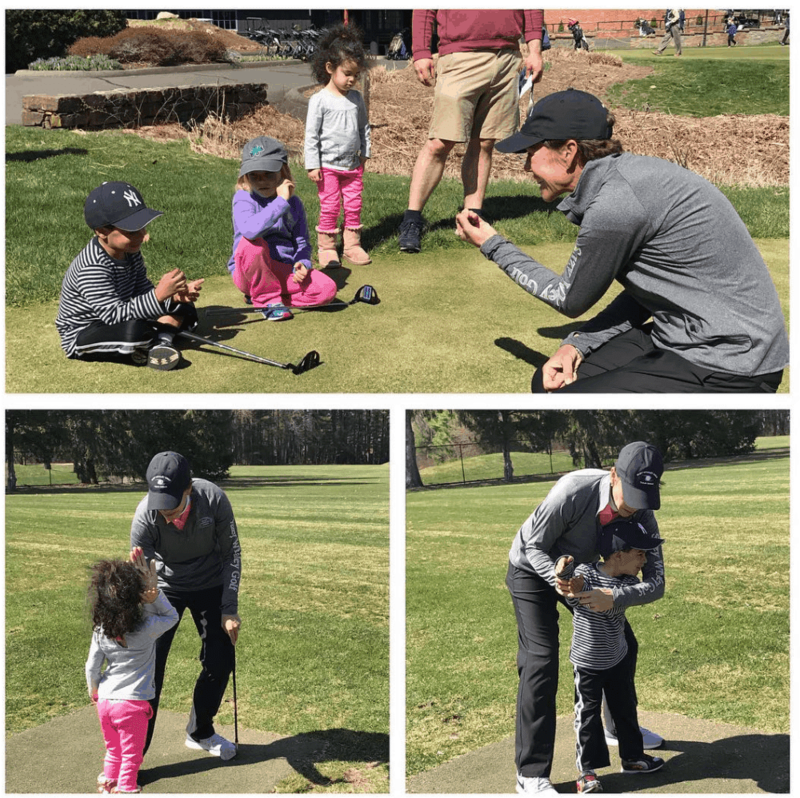 What strikes me about Suzy is this : while she’s very busy with her responsibilities with the PGA, it’s also obvious that she is doing what she loves: helping young people to get involved in the game, or as a mom, cheering on her college age daughters, both of whom compete for their colleges! 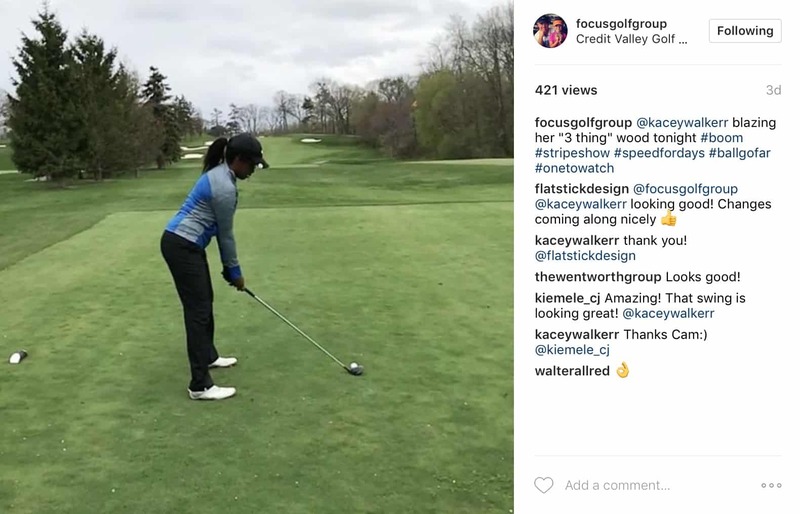 Consider the magic in this post: here you have one of the most senior executives in the world of golf today, and what is she doing in any extra time she might have? Getting young people involved! Suzy Whaley is one aspect of the world of golf at a career level. Then there are the moms and the dads, and parents who get their children out to the range, to the course, and to the lessons. So I bring you Cathy and Peter Butler, good personal friends. Cathy has been golfing as long as she can remember, and carries a mean handicap. (She’s also the only person who has invited me out for a round, only to see me leave for a complex reason on the 13th hole. I will never live it down.) Peter, her husband, took it up later once he met Cathy…. Cathy and Peter are also the parents of 25 year old Thomas Butler, a marvellous year old fellow who has Downs Syndrome. Thomas golfs.He skis. He does things that bring other people joy as they watch him and see his joy in doing wonderful things. And he’s got a wicked drive which would put many other people to shame! Check it out! 220 yards straight down the middle! Cathy and her husband Peter have done everything they can to provide their son with an enriching life full of powerful experiences. Cathy founded Events for Life, the charity for special needs young adults, for which I am now the Webmaster and on which my wife Christa sits on the Board of Directors. I am in awe of Cathy and Peter, and think they provide an important pathway to bring special needs children into the game. I got to know Rich through my keynote for the PGA. 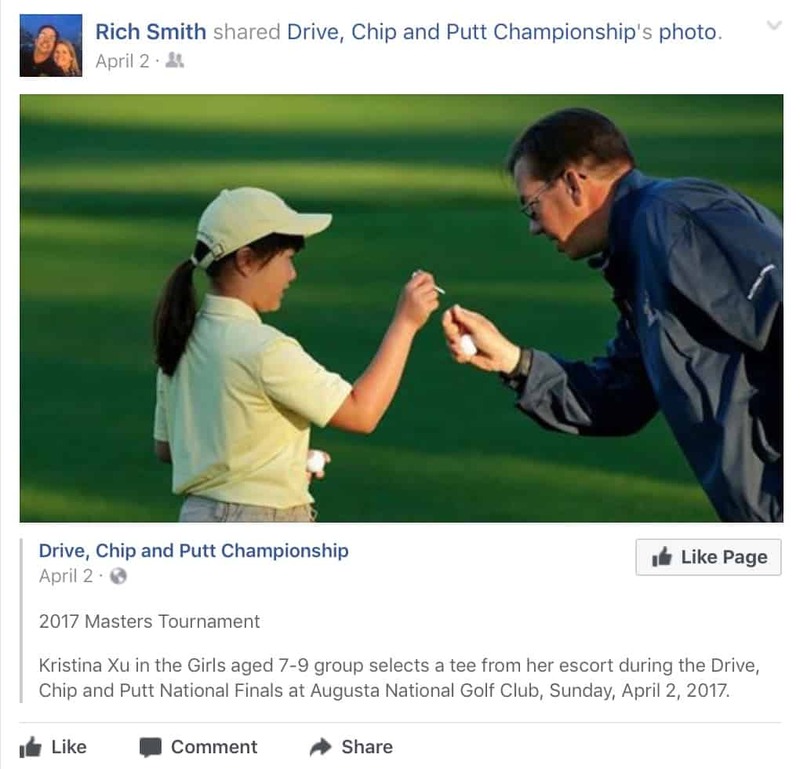 Aside from his unhealthy fascination for anything Star Wars related, he is one of many individuals in the PGA who has taken on a leading role in moving the Drive, Chip and Putt initiative forward. That’s the national program which allows young people to progress through a series of regional competitions, the winners of which get to participate in an annual event at Augusta, days before the Masters. Rich is putting a tremendous amount of effort into this initiative, and his passion shows in every single post and activity. That is, when he’s not obsessing about Star Wars! 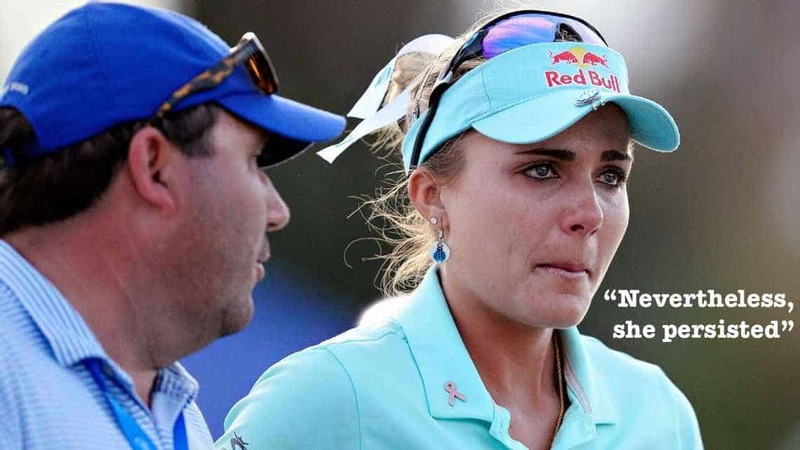 If anything, Lexi has taught her young fans everywhere that above all, sportsmanlike behaviour, decency and values are important attributes to bring to the game. Like the others, Lexi is a huge inspiration to young girls, and as a new type of role model, is helping to bring the game forward. Oh, but wait, there’s more! Behind every golf nut, there’s an unsung hero. In this case, my wife! She’s had to take up the game, schlepping her golf bag through airports, putting up with my relentless drive to tee it off at many of the fabulous golf resorts I get to visit as a leading global keynote speaker! To all the unsung heroes in our golf lives — we are grateful! The challenge with a list like this is that it keeps on growing! I just came back from the range with my son, Tom — he’s the one with the 1-handicap. (Although, he’s just graduating from college, and will start full time work with an investment firm in a month, so his handicap is bound to go up.) Tom is one of the main reason for my passion for the game — he took it up at a young age, and as a dad, I wanted to do whatever I could to be a part of his life as he got older. While hitting some balls, I realized he really needed to be on the list. In everyone’s life, there is a kid name Tom — the driving reason why someone else develops an interest in the sport. So this recognition is for all the “Tom’s” out there – the other people who help to get others involved in the game. Tom has competed in golf events, has worked for a golf pro teaching little kids, and has developed a reputation as a young man around our home club who people just like to golf with. He’s been tremendously patient with my erratic game, often offering me swing tips when needed, but backing off when he knows it will be a thankless exercise. The coolest thing? He’s still willing to go out for rounds with his dad on a regular basis. It doesn’t get much better than this. 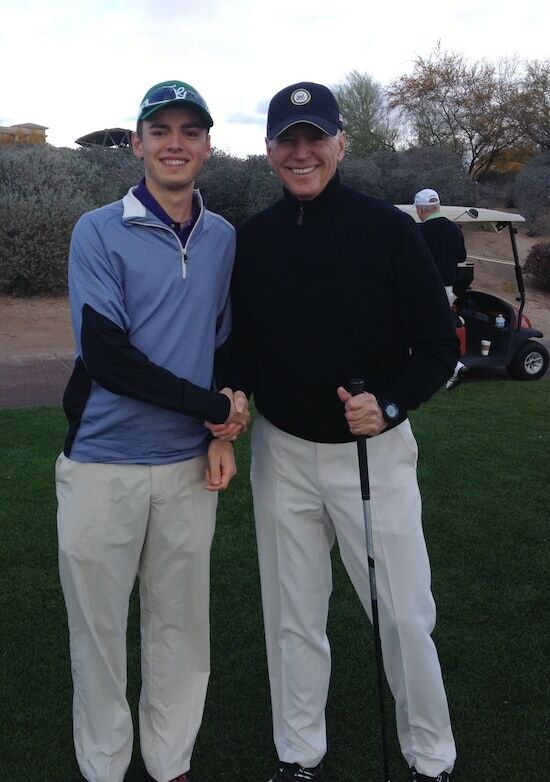 The most fun, perhaps, came from the day that he met Vice President Joe Biden on a golf course! Who are your golf heroes? Share your stories with me, and with others — and let’s grow the game!